Making students take out loans to cover the £9k per year + costs of uni affects poorer students the most. Go figure. It sounds kind of obvious when you think about it, and a new report this week proves it. Although most people agree encouraging people to go to university is a good thing, no one can agree on the best way of doing that while making sure universities have enough money to give people a good education. 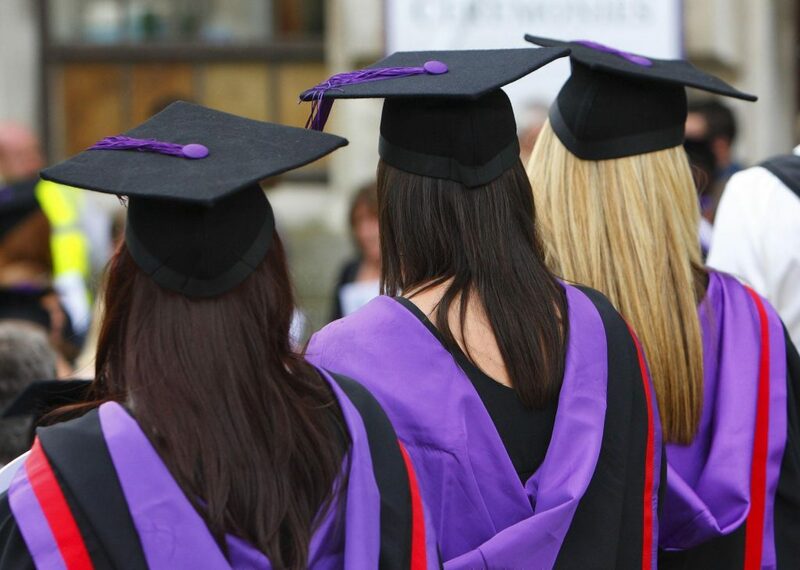 In 2015, the UK government scrapped the student maintenance grant, which gave the poorest students extra cash to help them out during university, and replaced it with a loan instead. It saved the government billions of dollars. That means that kids from lower income backgrounds (the poorest 40 per cent) are leaving university with upwards of £56,000 in debt, while kids from richer backgrounds (the richest 30 per cent) who aren’t eligible for the extra loan leave with around £43,000 in debt (that’s nearly £15,000 difference), the Institute of Fiscal Studies said. Students are now leaving with so much debt, 77 per cent of them will never actually be able to pay it off. What makes student debt different from other types of debt? Explainer: Student debt works completely differently from any other kind of debt. You pay it off as a proportion of what you earn, and if you don’t earn above a certain amount, you don’t pay it off at all. It gets written off after 30 years anyway and most people won’t clear the full amount of debt by then. So for all but the highest earners, how much debt you’re in could be seen as being irrelevant; you just pay off what you can. Some people argue that it should just be thought of as a ‘graduate tax’ instead. The UK government says this is all part of the plan. The government higher education minister described it as a “deliberate subsidy” for those people who then don’t go on to earn enough to pay it all off – they take out the loan, and don’t ever have to pay it back, so effectively they have had free education. But the government’s also ‘frozen’ – or just not raised in a while – the point you start paying your loan back, even though wages and prices in the UK are rising. That means more people are earning enough (£21,000 a year) to pay their loans back even though they might not feel like they’re rich enough. Labour is seeing the release of this report as a big boost for its policy of getting rid of fees. 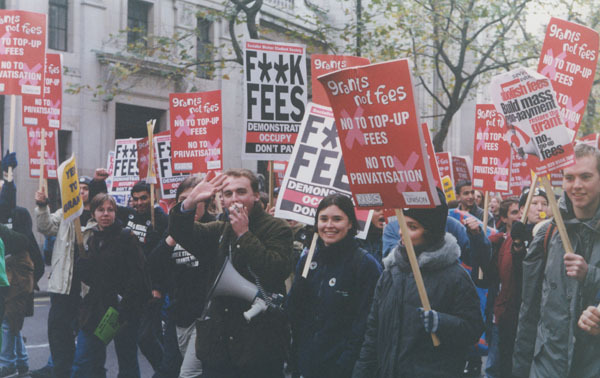 It's described the government’s fees system as a “tax on aspiration”, and that the chance to be educated shouldn't result in a 'lifetime of debt'. But the government says it’s the fairest way of making sure universities have enough money to provide a good education for everyone. The problem is, there isn’t actually that much evidence to show that making university free is the answer. Germany got rid of tuition fees (apart from a small administration fee of like, a hundred euros) in 2013. But studies show that hasn’t changed the demographics of people who go to university. Whether or not you enrol still has more to do with whether your parents went, than with how much it actually costs to go. In the US – which has some of the highest student fees in the world – Bernie Sanders (the left wing democrat candidate) campaigned on getting rid of fees, a policy that got him a lot of support. But a study argued that getting rid of tuition fees in the US would be at the expense of grants, which are traditionally handed out to students from lower income backgrounds. Basically, you’re giving free tuition to everyone, including the students who don’t need it, taking grants away from those who do, and making everyone (including those who don't go to university) pay for it will their tax dollars. The UK government’s arguing that its solution to this problem – making tuition expensive, but saying you only have to repay the loan if you end up earning loads of money – is the best way of making sure universities are properly funded, and making sure that everyone can go if they want to. But the debate goes on and on. 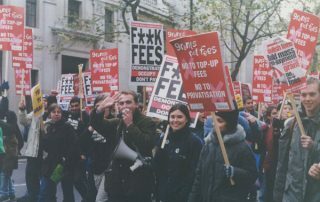 Labour put tuition fees at the center of it’s general election campaign, and it proved pretty popular. Data shows that the amount of young people turning out to vote in June was at its highest in 25 years, and 60 per cent of 18-24 year olds voted for Labour in June. Now, let’s be clear – young voters were voting on a lot more than just university fees, but Labour’s success and a high turnout in university towns could show that the free tuition message got through to voters. The question is whether it was the right message for giving everyone, including those who have been hardest hit by the current government's ideas on the matter, an equal chance.